This isn’t great visual quality, but the content is excellent – it covers issues of poverty during the Tudor period very well. What is a parish? 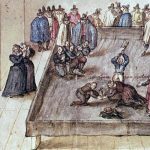 How was it organised as the center of local government during the Tudor period? 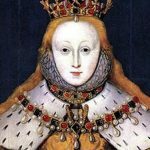 On the 17th November 1558, Elizabeth I succeeded her half-sister Mary to become queen of England. 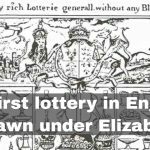 On the 11th January 1569, the first recorded lottery was drawn in England under Elizabeth I. The Battle of Gravelines, the decisive battle of the Spanish Armada, took place off the coast of Flanders. 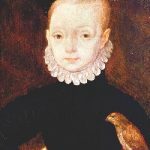 On the 29th July 1567, James VI was crowned king of Scotland when he was just 13 months old. On the 5th November 1605, the Gunpowder Plot was foiled when Guy or Guido Fawkes was discovered guarding 36 barrels of gunpowder that had been placed in an undercroft below the House of Lords in London. 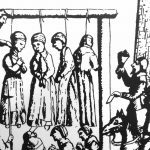 Why were the trials of the Pendle Witches in 1612 so significant? 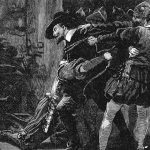 Why was Sir Walter Raleigh beheaded in 1618? 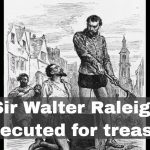 On 29th October 1618 Sir Walter Raleigh was beheaded for treason against James I in the Main Plot. 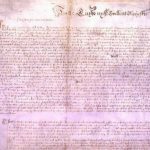 What was the significance of the Petition of Right?